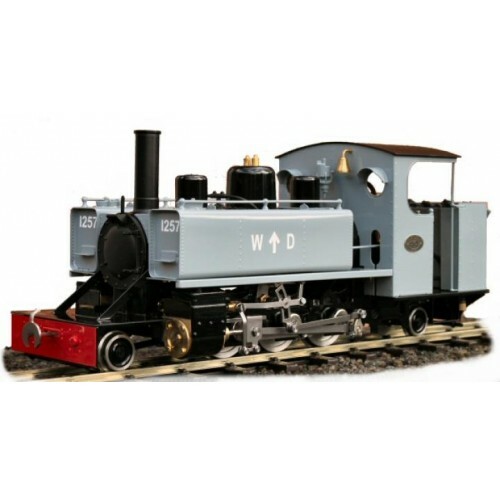 The model is of works number 57148 which was built in the same year as 'Mountaineer' and depicts her as running in preservation on the Chemin de Fer Froissy-Cappy-Dompierre in northern France. The full sized locomotive is currently on the Tacot des Lacs, a preserved railway at Grez sur Loing about 40 miles south east of Paris. Dimensions (loading gauge) are, Length 365mm over buffers, Width 110mm, Height 145mm, Weight 3.9 Kg. (with Radio Control fitted).